Back just before Thanksgiving, I left a teaser on our Instagram account about starting some improvement projects. 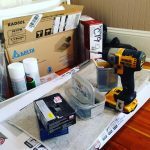 When you own a home, I think you naturally have a running list of things you want to do – small repairs and updates as well as big projects to complete. That list never seems to get shorter when you own a 130+ year old home that also operates as a Bed and Breakfast! 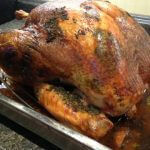 And so, I wanted to finally share with you the projects we completed just before the Thanksgiving holiday. These two items had been on our list for a while, and we were glad to be able to check them off as complete! 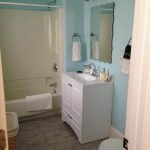 The Shore Room bathroom and the Hearth and Home Room bathroom received facelifts. Both rooms had older linoleum flooring that needed updating and the fixtures in the Shore Room were also a little behind the times. 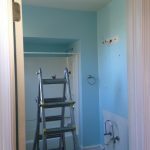 Day one of the project consisted of removing everything from the rooms and disposing of the old fixtures that wouldn’t be used again. We ripped out the flooring and removed the old light fixtures and exhaust fans. Day two saw paint touch ups completed, and the new tile floors went down. New lighting fixtures went up, and the new exhaust fans were installed. On day three we grouted the new floors and reset most of the toe kick at the baseboards. Everything came back together on day four. 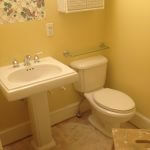 The plumber installed the new toilets and the new vanity in the Shore Room. 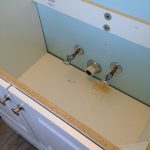 New vanity mirrors were hung, and any remaining caulking and trim work got our attention. The fifth day was time for us to finish up any final details and clean up. It was a quick turn around to get everything done, but we managed it! I think both rooms look great with their new face lifts. In a large skillet, brown the ground beef, drain off fat, reserving a few tablespoons for the next step, then transfer meat to crock pot. In the same skillet, sauté the onion, bell pepper, and garlic in a bit of the reserved beef fat until onions are translucent. Transfer to the crockpot. Add the remaining ingredients to the crock pot and stir well. Cook 6-8 hours on low. Remove bay leaf, ladle into bowls and enjoy! Attached our some pictures of our work in progress, and then the finished product. What do you think of the improvement? Do you like the updates? Let us know! 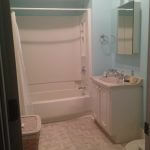 Shore Room bathroom, before renovation. 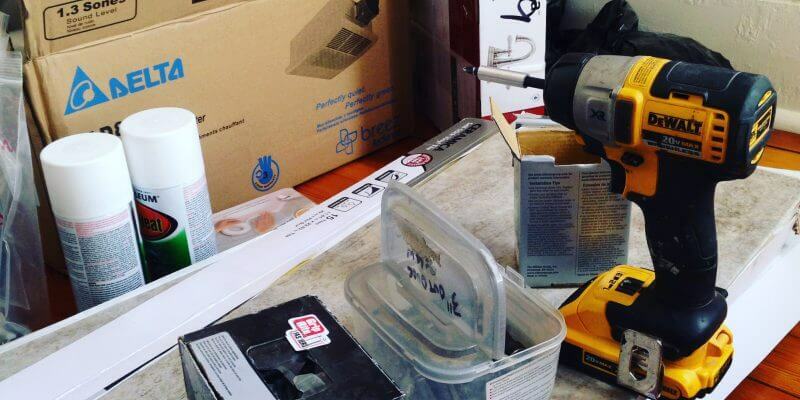 Tools and supplies. Ready to renovate! 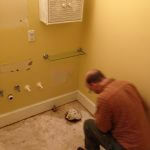 Early stages of Hearth and Home Room bathroom renovation. Mirrored cabinet down and floor removed. Installing the new Shore Room vanity. 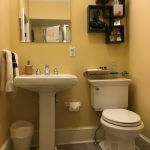 Shore Room Bathroom, after renovation. I hope you all had a terrific Thanksgiving Weekend! Thanksgiving is one of the few days we close each year, as we take the day to be thankful for our family. It’s a day for us to appreciate everything the past year has brought us. A Thanksgiving tradition that has emerged since opening Waypoint House is our participation in the annual Holiday Parking Meter Decorating that takes place each year in Berryville. For the month of December, the meters take a break, and businesses, groups, and families can sponsor a meter and decorate it in a holiday theme. Our very first year, Jonathan and I deliberated over what our entry should be. We brainstormed and we drew sketches. 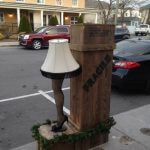 Finally, inspiration struck, and we built the leg lamp from the movie “A Christmas Story,” complete with it’s shipping crate stamped with “fragile” on the side. 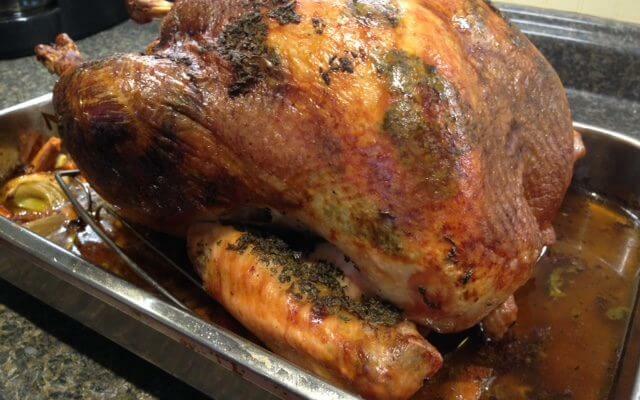 Ever since, it has been a holiday fixture in Berryville, and we proudly set it up each year on Thanksgiving Weekend. It’s the symbolic start of the Holiday Season for us! One thing we are certainly thankful for each year, are the guests who visit us, and the opportunity to get to know some really wonderful individuals. Each year, our list of return visitors grows, and as excited as we are to meet new guests, we also cherish those guests (who become more like friends) who choose us each year as a special place to visit. Whether relaxing or celebrating, or traveling for business or to visit friends and family, it is our privilege to host each and every one of you, and we are grateful for your patronage! What are some of your Holiday traditions? What things or events do you look forward to each year? Let us know, and we’ll share more of ours as well! 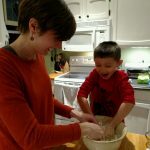 Pie making with my nephew! The Leg Lamp of Berryville! I love trying new recipes all year long, but especially at the start of a new year I get itchy to try new recipes and freshen up the menu. Jonathan, of course gets to be the official tester before I serve any dish to guests. Often I’ll do “breakfast for dinner” so we can try it together since, ironically, we very rarely eat breakfast together! He’ll make a critique or two, or suggest a way to garnish, etc. After trying my latest breakfast creation he just said, “Can we have that for dinner again tomorrow?” So, I guess that means I did good! As with most things in this day and age, I got my initial inspiration from Pinterest, then found a similar recipe in a cookbook not too long afterward so, I took that as a sign that I was on to something. Then, a title for the dish came into my head, and after a few “Rachael” modifications, viola. 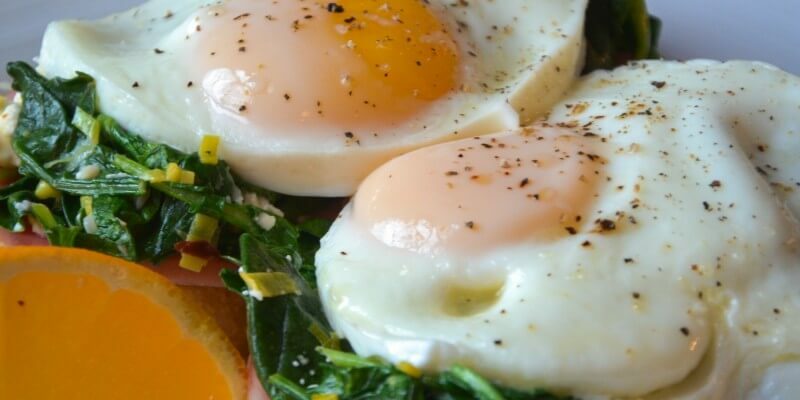 Greens, Eggs and Ham. It’s my homage to Dr. Seuss. 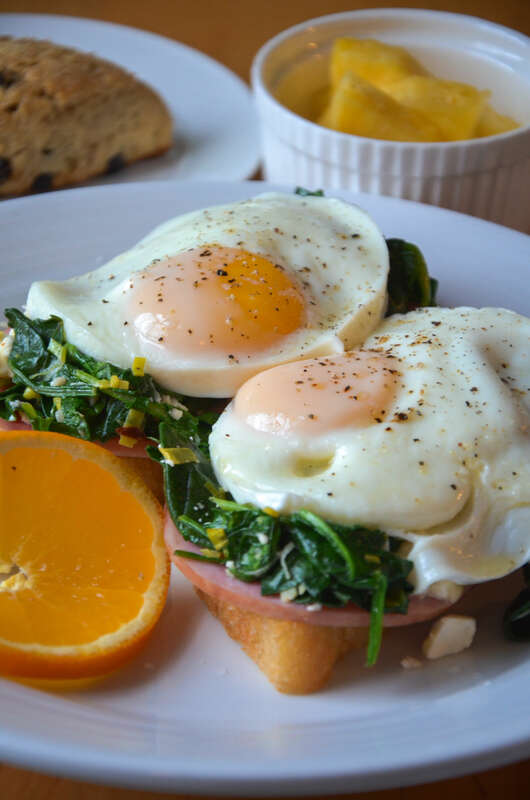 Sauteed leeks, kale and baby spinach with feta cheese on top of Canadian bacon and my homemade English muffin bread served with fried eggs. So, would you eat greens, eggs and ham? I’m excited to tell everyone about a really great thing that happened to our lovely little town of Berryville and beautiful Clarke County this summer. 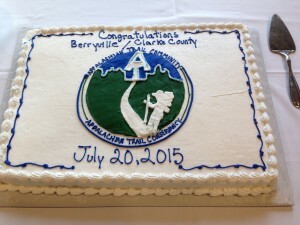 At the end of July we celebrated becoming the Appalachian Trail Conservancy’s official 39th Trail Community. Because Clarke County has a generous portion of the Appalachian Trail running along its Eastern border, and the county and the town have a long history of promoting land conservation, we’ve been given the honor of becoming a trail community. 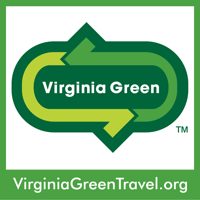 It’s a terrific opportunity to partner with the ATC in promoting, preserving, and protecting the wonderful national treasure that is the Appalachian Trail. 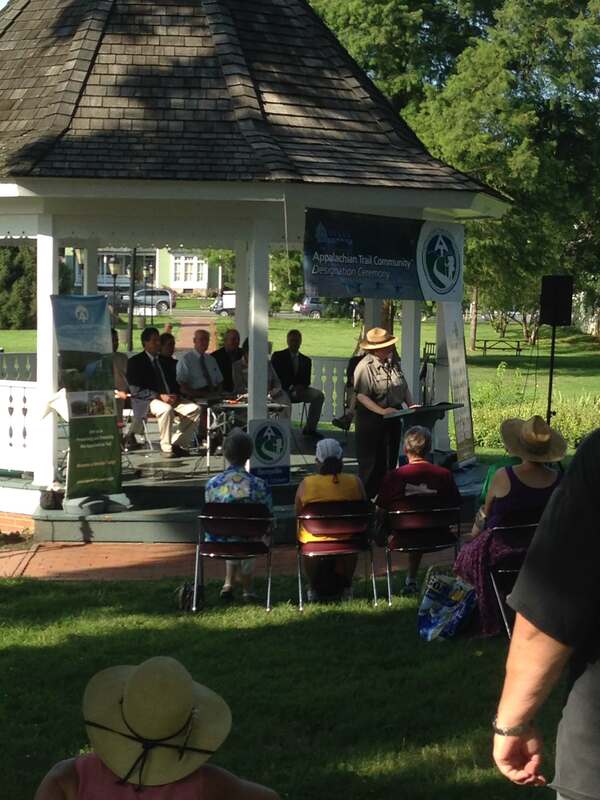 We were privileged to attend our dedication ceremony which took place in Rose Hill Park on July 20, 2015. Sharing the natural beauty of Clarke County and Berryville with our guests is one of my favorite things. I love being able to tell people where to go for a great hike, a quiet picnic, or a scenic bike ride. If you are looking to have a little time to convene with nature, there’s no better place to visit than Clarke County, in my opinion! So, if you’ve never had the opportunity to hike on the AT, we hope you’ll consider coming to spend the day on the trail. And after a full day of adventures, you can spend your evening at Waypoint House resting your bones in one of our comfy beds. 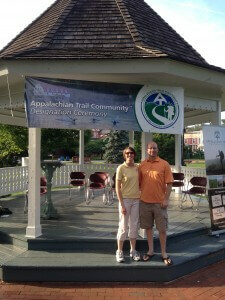 We look forward to seeing you all here at the B+B and hopefully on the trail as well! Official Designation Ceremony – Berryville/Clarke County Becomes and Official Trail Town! 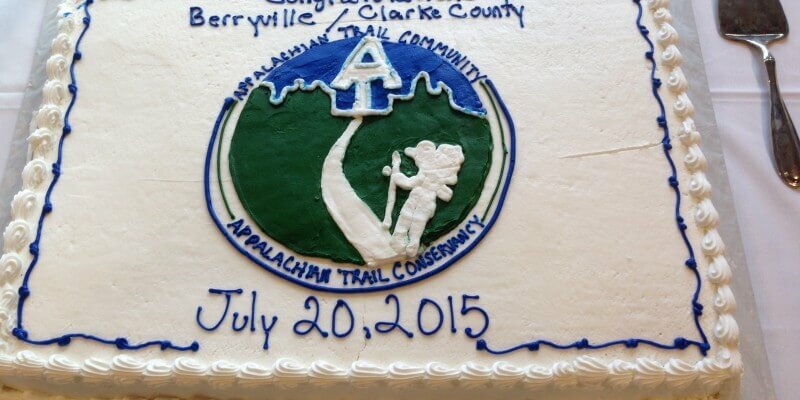 Cake to Celebrate the 39th Official Appalachian Trail Community! Whether you are a kid or an adult, I think we can all agree that summer never seems to last as long as you want it to. Here we are now with Labor Day already behind us, and soon the days will begin to take on a cool crisp feeling and the daylight hours will grow shorter bit by bit, whisking us right along into autumn. 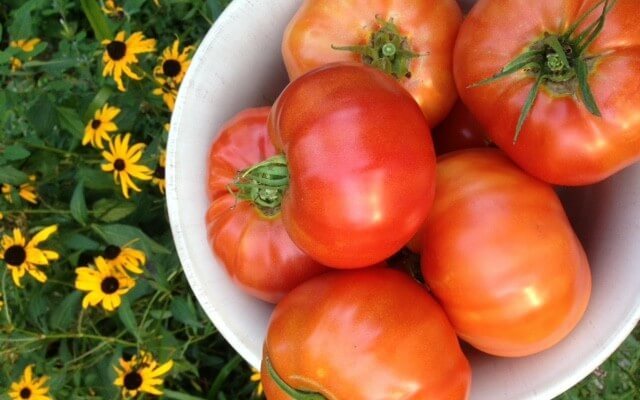 But before we are consumed by all things pumpkin and pull out the sweaters from their summer storage, I wanted to take a moment to recap the summer here. I know this kind of breaks the rules of blogging, but I ask for your indulgence. Blogs should be frequent, quick snippets of daily events. Yes, I try and often fail. A lot of great guests came through our door this summer, and we’ve had fun seeing you all. 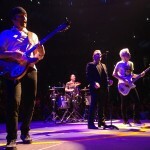 We even got to take a few fun days away this summer ourselves, and we made a trip to Boston to see U2 in concert! Another front row experience! That was a blast. 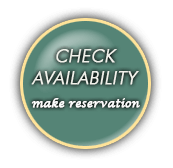 Ask us about that trip the next time you come stay with us. There were a few projects, as well. 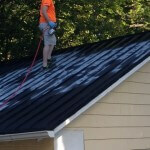 We painted the metal roof of the garage, and we’ve been working on painting the west exterior side of the house. We’re still working on it, section by section! 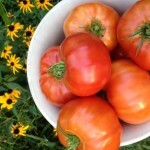 The garden produced, and is still producing, copious amounts of beautiful tomatoes. We saw lots of family too. My sister lives in Boston so our concert trip was also a chance to spend time with her. In August my brother, sister-in-law, nephew and niece came here to visit us. 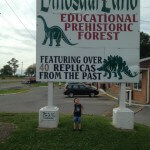 If you want to talk about fun, take a four year old to Dinosaur Land! That was great. So there was fun family time, and also serious family time. Both Jonathan and I are at the age where for the past several years we have been seeing our parents growing older and needing us more – a difficult prospect for us since we both have the challenge of being the children farthest away – geographically speaking – and because of the time commitment that the inn requires. I thought it only fair I shared a bit of our personal journey this summer as we really do consider many of our guests friends. I think you all get to know us just as much as we try to get to know you during your stay. I do have lots of other things I’ve wanted to share with you all over the summer, I just never got around to writing about them. I hope to revisit all of those ideas over the autumn and be back more frequently. No guarantees, guys. I’d rather spend face to face time with you, or actually be in the thick of a project than be behind the computer, but I’ll give it my best shot.